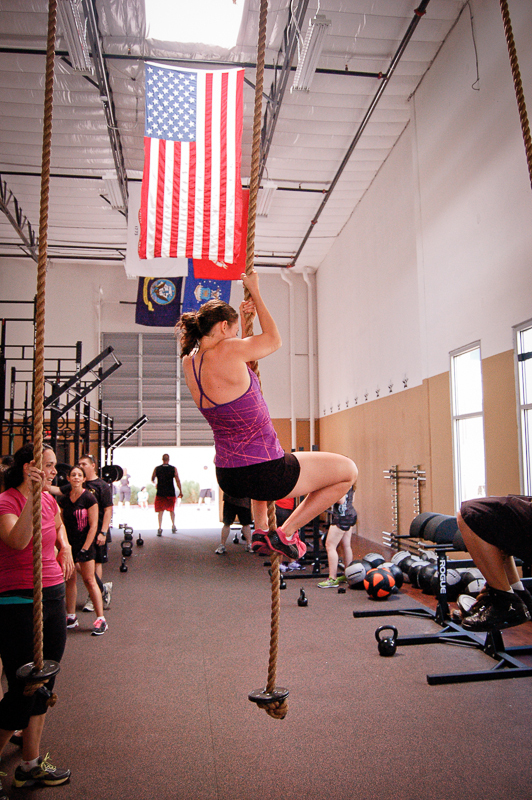 Albuquerque, N.M. – Saturday July 27, 2013 marked the grand opening of Desert Forge CrossFit on Albuquerque’s westside. Owners Tommy Truex and Nick Cangialosi had a dream to bring their passion and love of the sport to the people of the Duke City. They invested in a space located on Eagle Ranch road and opened the doors to a 3205 square foot facility with all the bells and whistles of a top-of-the-line CrossFit Gym. Truex says this was a dream he had because of the benefits that CrossFit showed him. After a couple years and one deployment later Truex paired with Cangialosi and spared no expense on their new facility. “I decided halfway through my last deployment in Egypt that I was going to open a CrossFit Gym,” said Truex. “I’m a business major by trade and I’m an officer in the Army so I’m a planner. That’s what I do. I put together a business plan complete with projections. I walked in to a bank and told them my vision and they said, ‘I like your idea,’ and that’s how we did it. 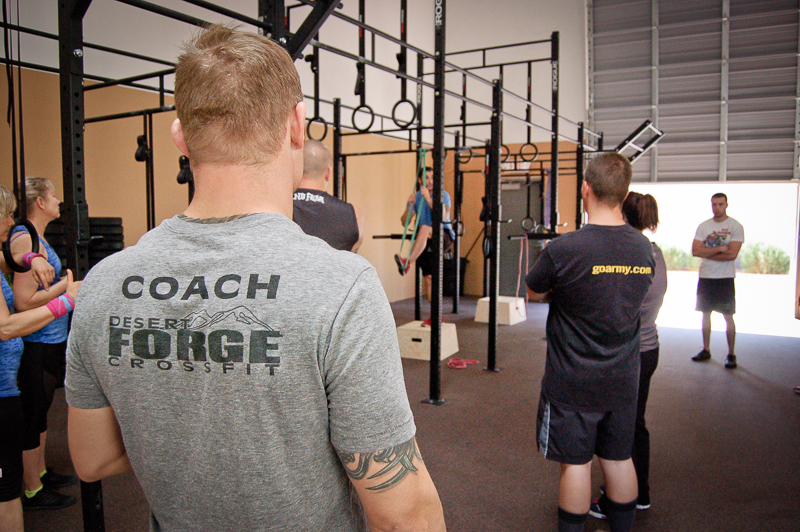 Truex listed two details that he feels separates Desert Forge CrossFit from other boxes. “We have a top-notch facility that’s for sure,” he said proudly. “One of the main things I wanted to make sure I had was a children’s area so kids can hang out while mom and dad get work done. If you have a three year old and up they can draw on the walls, watch TV and play with the other kids. Truex pointed out that along with that equipment his partner Cangialosi is one of the best in the business at forging athletes and helping them reach their full potential. On Saturday, July 27, 2013 Desert Forge CrossFit held its grand opening complete with all the trimmings. The Albuquerque CrossFit community came out in droves to support Truex, Cangialosi and the staff of Desert Forge CrossFit as over 200 people showed up to do the WOD and tour the top-notch facility.